Voted Best Pediatrician and Pediatric Office in Harnett County! 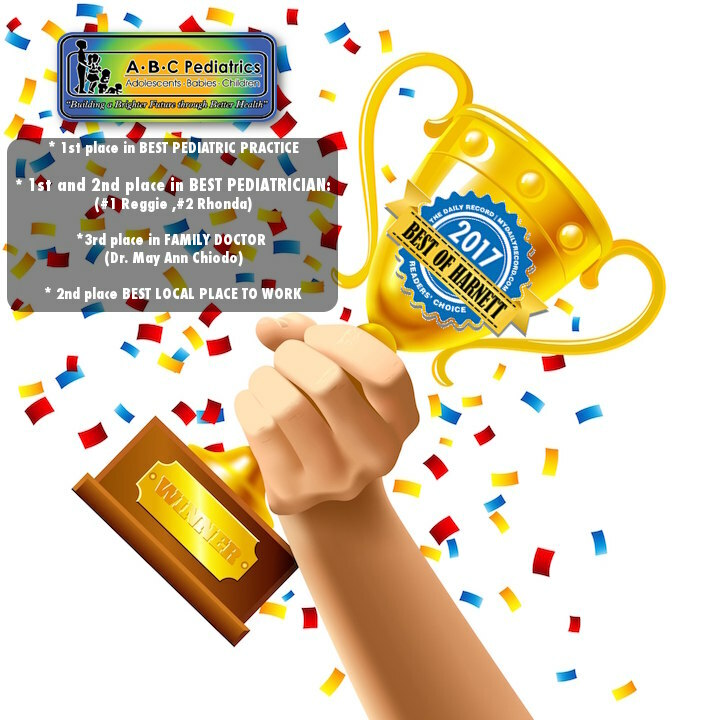 Our ABC Pediatrics’ family would like to extend our warmest appreciation to all of our patients and parents who took the time to express your opinion of the services we provide to our community by voting for us in the 2017 BEST OF HARNETT COUNTY! Serving the pediatric health care needs of Harnett county residents for over 23 years has been our privilege. We are overwhelmed and humbled by your response to The Daily Records’ first ever BEST PEDIATRIC OFFICE and BEST PEDIATRICIAN categories. Receiving top honors in both of these categories as well as the additional votes of confidence for our providers and staff is truly an honor and blessing for our entire ABC Pediatrics’ family. We THANK YOU! for your votes and for the trust you’ve placed in us!